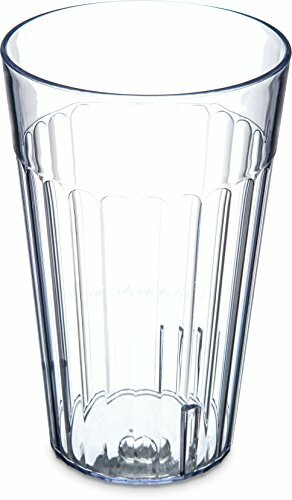 The Carlisle Bistro clear tumbler has a fluted exterior design that enhances grip and is dishwasher safe. The tumbler is stackable for organization and storage, and the internal lugs prevent stacked tumblers from jamming. The styrene acrylonitrile (SAN) material is rigid and resistant to breakage.